All summer we’ve been complaining that it’s not hot enough. I even heard the dreaded ‘polar vortex’ mentioned a couple of months ago. But forget all that because the weather right now is perfect: crisp, sunny and dry. 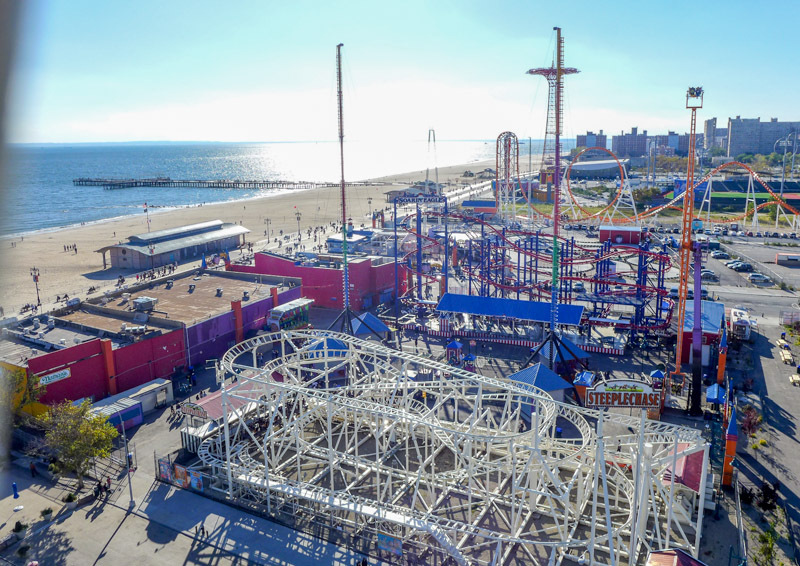 For one final summer adventure, Ryan, Charlotte and I decided to be big kids at the place big kids have been going for a century: Luna Park at Coney Island. 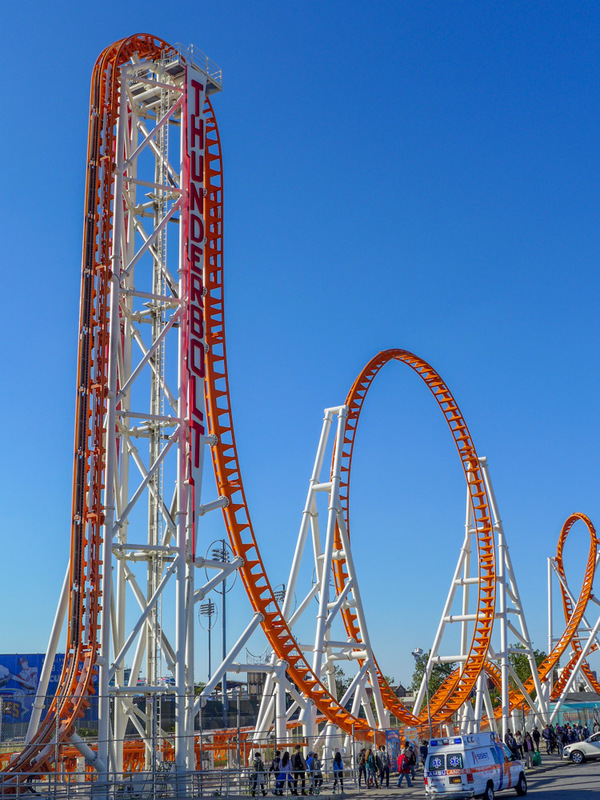 I’ve been on the Cyclone before and winced my way through the freak show, but since my last visit, there’s a new guy in town: The Thunderbolt. 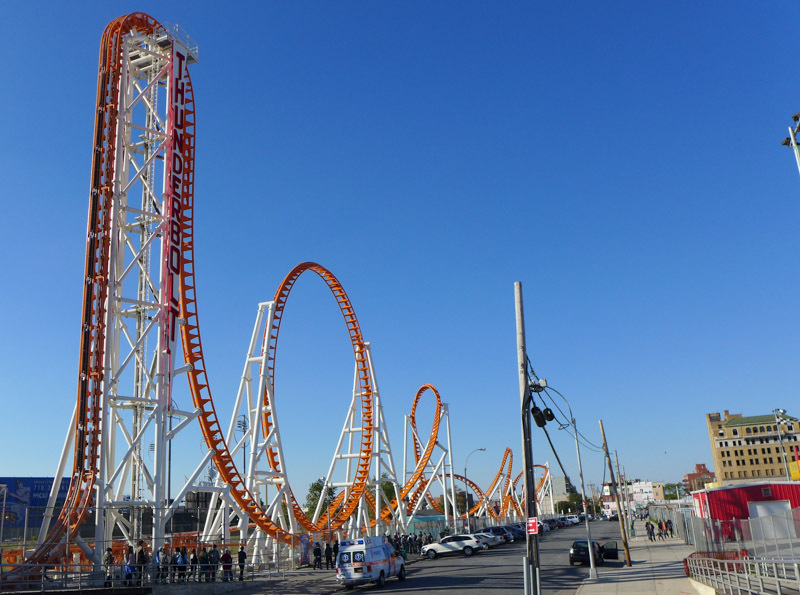 The ride, which opened in June, features a vertical 125-foot ascent followed by a 90-degree drop and lots of loops. And for some reason, I thought going on it was a good idea. We strapped ourselves tightly into the seats and before I could figure out how to undo the belt and scarper, our cart swept away and began clicking its way to the top. By the time I’d constructed about eight different headlines – all with the same outcome – we flopped over the top. And plummeted. And spun. And screamed. The Thunderbolt is great. 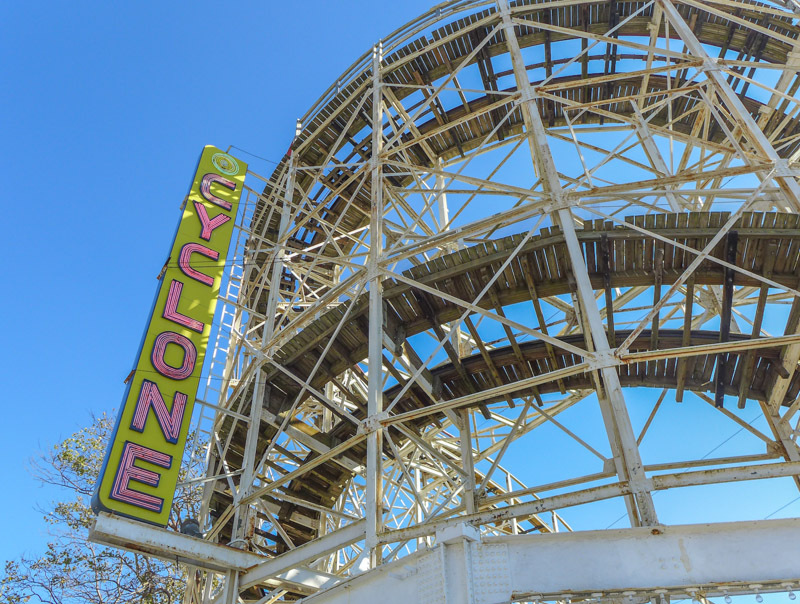 Its older sister, the Cyclone, is rickety and the fear of getting stuck is actually quite real. 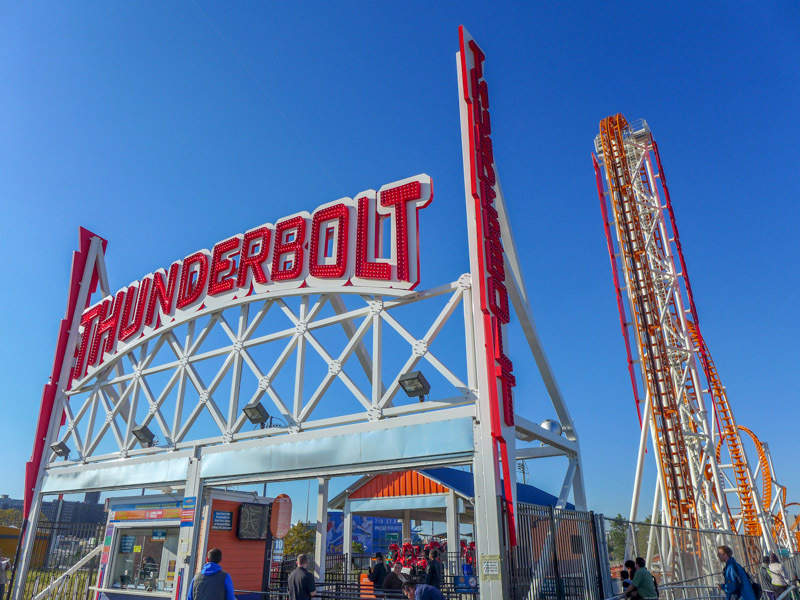 But the Thunderbolt is so much smoother and, even though we were turning, spinning and thrown in the air, I actually found myself enjoying it. 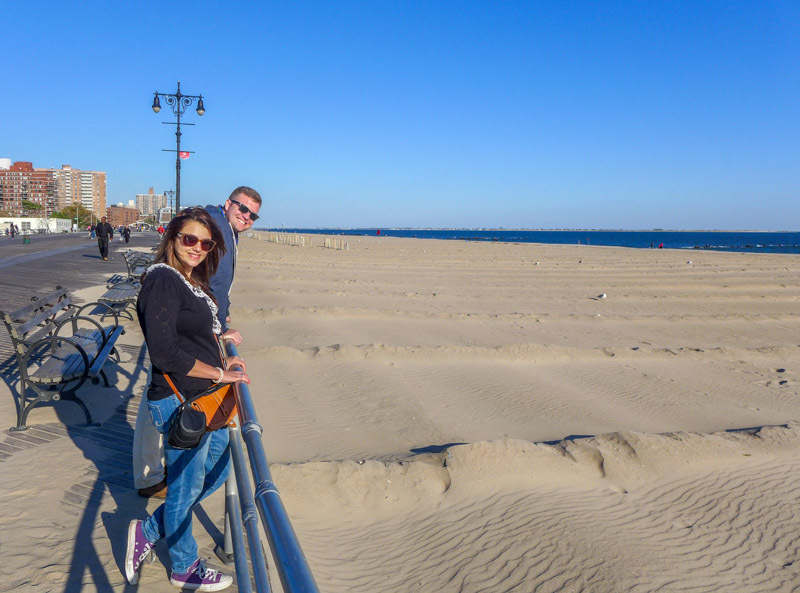 When we pulled into the exit – far too soon for my liking – I was whooping with joy. Charlotte and Ryan were also fans, but we all agreed there was something a little wilder about the ancient, wooden Cyclone, which has defied hurricanes and shunned modern updates. So of course, we gave that a go too. 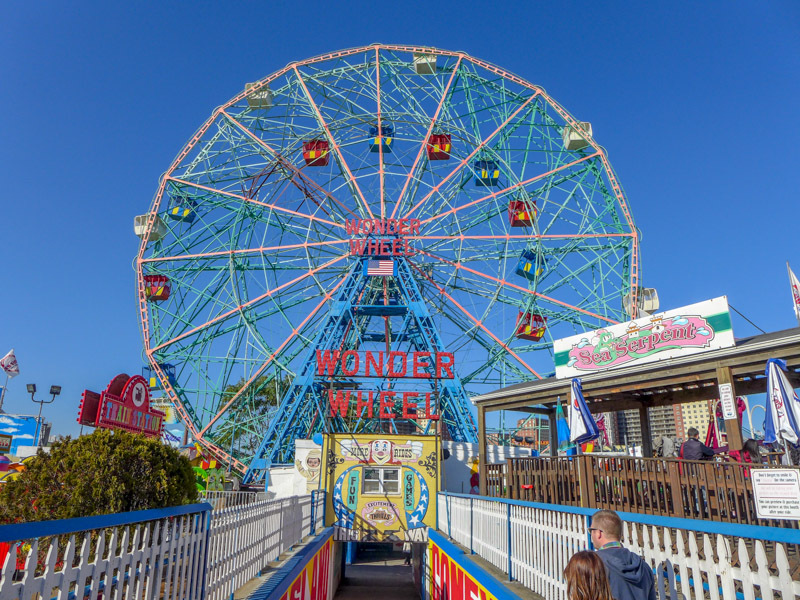 We also made sure we had plenty of time for the Wonder Wheel and ice creams to calm our nerves. 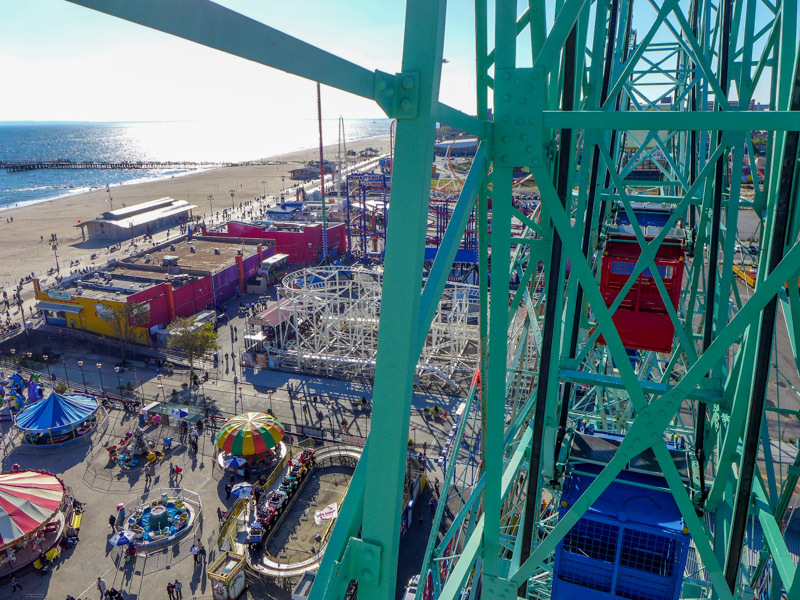 Luna Park is open for a few more weekends before the winter. So go visit while the weather is still sunny and crisp! Far too scary for me! Fab weather you’re having; great photographs. No, it’s fun! Maybe we’ll just go on the teacups when you’re over. 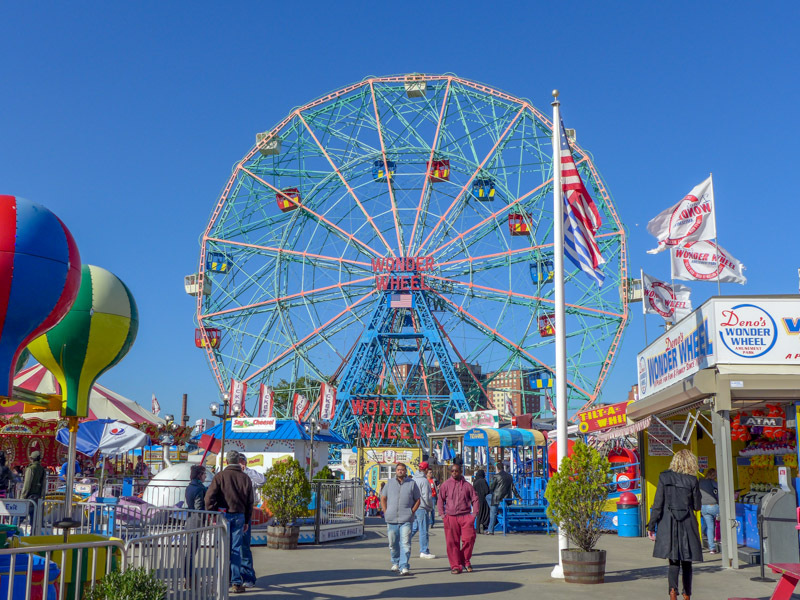 Love Coney Island- the 3 you mention are the only rides I’ve been on and they’re great! 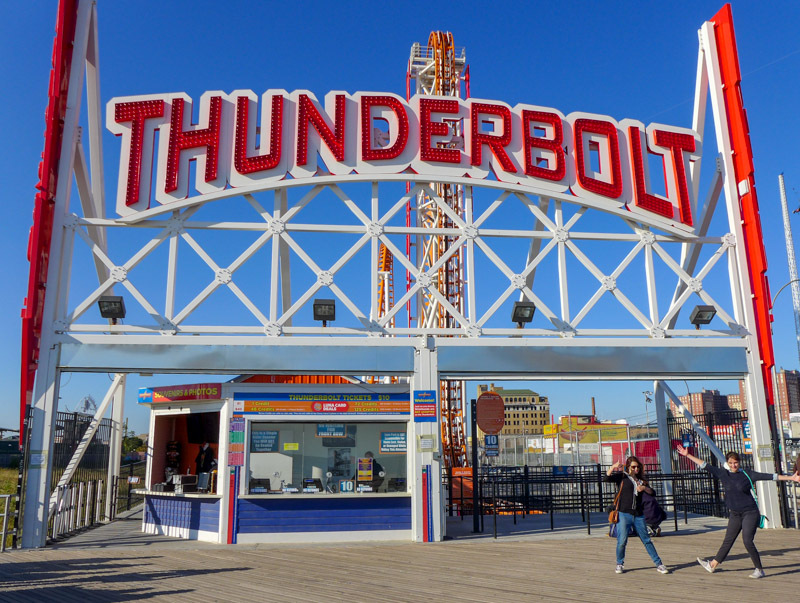 The Thunderbolt is so fun and so fast! Blink and it’s over. 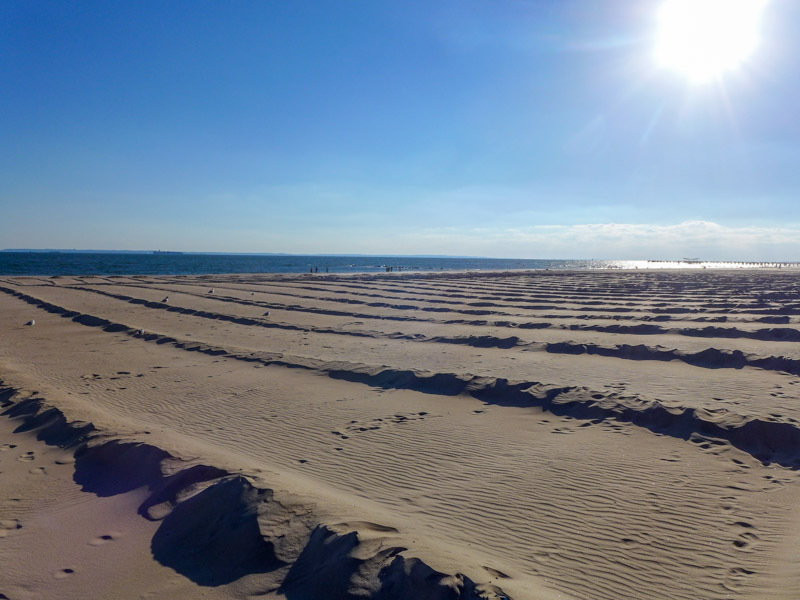 That beach looks so strangely deserted, when I went in the summer it was umbrella to umbrella packed. 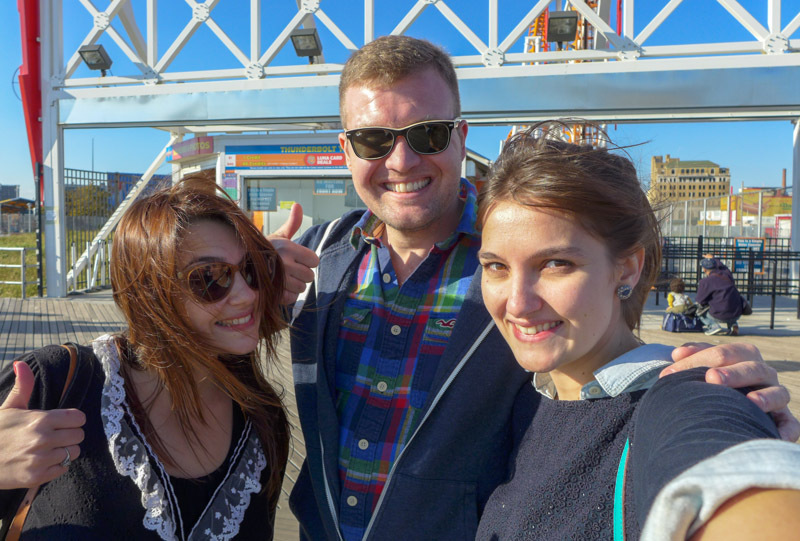 Oh really – I was far keener on the rides than the beach (but I do remember your blog post making it sound v dreamy).